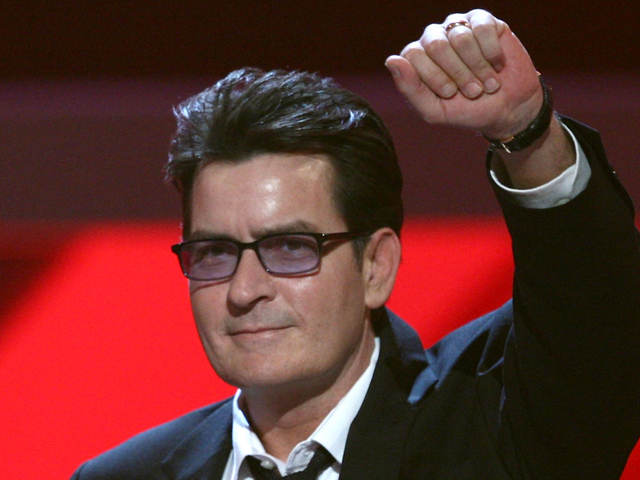 (CBS) - A couple of things we now all know about Charlie Sheen: he's got "tiger blood," "Adonis DNA" and wants more cold hard cash to keep working on "Two and a Half Men." Those are just some of the gems that spewed from the 45-year-old in a bombastic interview with NBC's Today Show on Monday. In a televised chat that covered his battle with addiction, his feelings about CBS, and his feud with "Two and a Half Men" creator Chuck Lorrie, Sheen repeated his claim that he is clean and sober and ready to work. "I have no interest in cocaine," he told Jeff Rossen on Today. When Rossen asked if Sheen was clean, he answered, "Look at me. Duh." Sheen claims he has cured himself of addiction. How? "I closed my eyes and made it so with the power of my mind." As for CBS, Sheen says, "We're definitely at war." Why? "They're trying to destroy my family." He's not worried though. As he told Rossen, "defeat is not an option. They picked a fight with a warlock." When asked if he should apologize to CBS for his recent antics, Sheen replied, "No, they owe me an apology, a public one. They should be licking my feet." He shared a similar sentiment for Warner Brothers, suggesting they should rename it "Charlie Brothers." Sheen also continued his recent boasts that he is unlike most people. His "tiger blood" and "Adonis DNA" are part of what make him "special" and above addiction. When asked if he was an anti-semite, Sheen insisted, "I'm not that guy." "Two and a Half Men" fans hoping for a positive resolution to the whole situation can take heart. Near the end of his interview, Sheen said, "I will finish the TV show. I'm a man of my word. I'll even do season ten." That is, of course, if CBS and Warner Bros. raise his salary to $3 million per episode, which Sheen has been asking for to return to the show. CBS Entertainment had not commented by press time. CBS Entertainment and CBS News are owned by the same parent company.